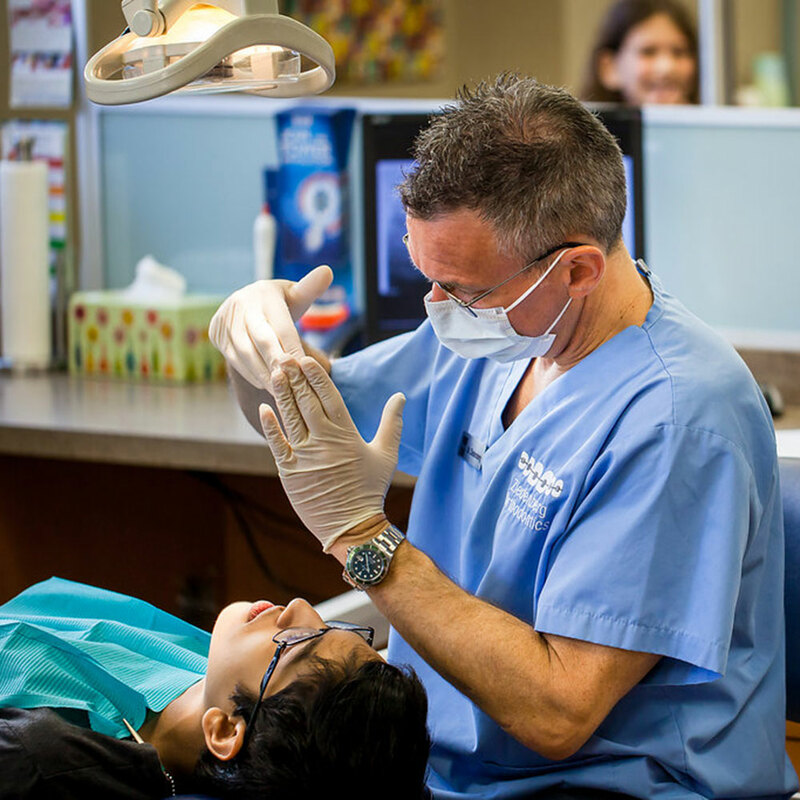 Treatment of any child patient begins with an examination of their teeth and jaws. In many cases, the problems in each of these areas can be severe. For example, a patient can have a large overbite (jaw growth issue) and severe upper and lower crowding (teeth size issue). Sometimes treating both major problem areas together can lead to acceptable, but less than ideal results. In cases such as these, it may be best to break up a patient’s complete treatment plan into two distinct phases ( one for jaw growth, and one for tooth alignment) . This can easily be compared to building a house. A builder will make sure that the foundation of a house is correct before putting up the walls. Upon completion of both stages, a stable, ideal smile and bite are enjoyed for the rest of the patient’s life. The first phase of treatment often involves simple jaw growth correction. This may take one to two years. Since jaw growth correction must be done during a child’s jaw growth years, it is commonly started while a large number of baby teeth are still in the mouth. This early treatment may prevent future removal of adult teeth and/or surgical procedures needed to align upper and lower jaws. Many devices are available to help correct a jaw growth mismatch during a first stage of treatment. Full diagnostic records, consisting of photographs, X-rays, and teeth models are used to determine the best, most efficient devices that the patient requires. A second phase of teeth straightening usually will follow and may take another one to two years. This usually involves braces and begins when most/all of the adult teeth have erupted. A second stage of treatment is often needed to put each tooth in their ideal position within the new corrected jaw positions. In some cases, a successful first stage of treatment can prevent the need for a second stage. If there is a large gap of time between a first and second stage, a retainer is usually inserted and the patient is given a “resting period” while the adult teeth erupt.